Do you know the relationship between carpet water damage and carpet water damage repairs? Disaster can strike at any time! Refresh Carpet Cleaning provides emergency solutions for carpet water damage and emergency carpet drying, water extraction services, cleaning, mould control, and stain removal. When faced with water damage, carpets must be treated within the first 24 hours to minimise risk of further damage and loss of your valuable carpets! We are prompt, safe and provide customised solutions for our customers. Refresh Carpet Cleaning provides 24/7 water damage services to assess damage, protect your beautiful carpet from further damage, remove water, clean, and dry your wet carpets. Our team of highly skilled professionals are trained to assess all risks to your valuable carpet and provide the best solutions for your emergency. Sometimes, you may decide not to keep the water damaged carpet, in which case we can remove it for you, before drying the underlying floors. Carpets can be damaged from unexpected water events which can range from burst pipes and sewage leaks, to rain damage and flooding. Whenever carpet is exposed to water, the water needs to be extracted as soon as possible and stains dealt with, before further damage can occur. Our focus is to salvage your carpet to it’s original condition where possible, without compromising your health or safety. 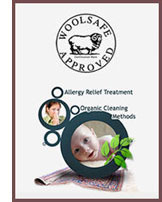 Refresh Carpet Cleaning takes pride in it’s No Mould Guarantee. We also are happy to help you with insurance reports. Refresh Carpet Cleaners also hire water damaged carpet air dryers or dehumidifiers, wet carpet water extraction machines, and carpet blowers, in any Sydney metro suburb. Give us a call on 0488 963 678 or email us here and we will give you the best price including delivery, set up and pick up. Delivery is FREE! Hire water damaged carpet air dryers or dehumidifiers, wet carpet water extraction machines by calling us now on 0488 963 678. and we will give you the best price including delivery, set up and pick up. Hire carpet air blowers in any Sydney suburb by booking online, email us here today.